Lawyer and cricket enthusiast Neville J Turner was awarded Life Membership of the Australian Cricket Society on Monday 2nd September at a meeting at the M.C.G. 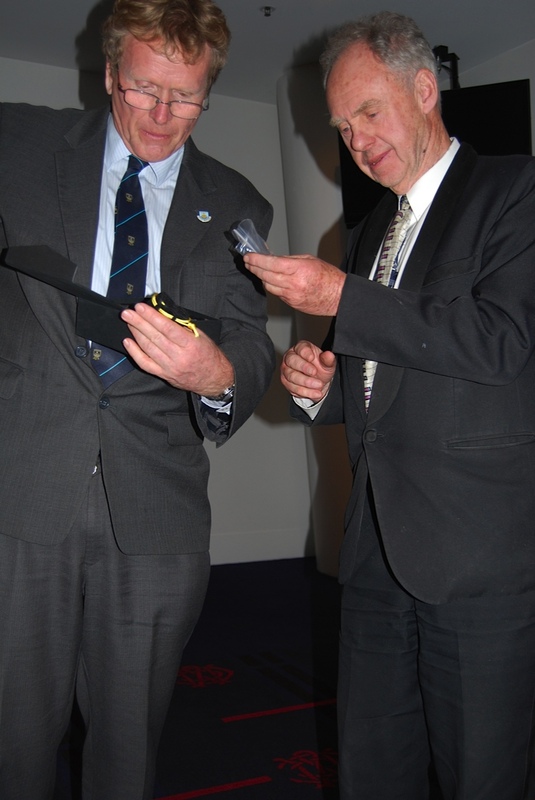 He is shown here receiving the award from Ken Piesse (left) – President of the Australian Cricket Society. Read the rest of this entry ? Sri Lanka has decided to resume playing cricket in Pakistan after a four-year gap, President Mahinda Rajapaksa told Pakistani minister Ahsan Iqbal in Colombo on Tuesday, according to Associated Press of Pakistan (APP). 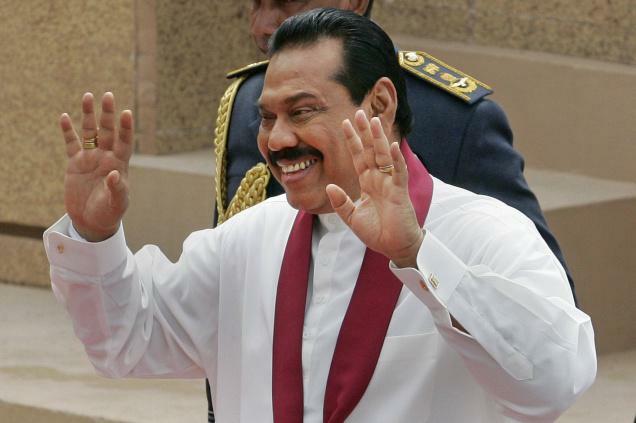 Rajapaksa said a Sri Lankan team will soon play in Pakistan. Sri Lanka stopped sending its cricket team to Pakistan after the March 2009 terror attack on its squad in Lahore that injured six of its players and left six Pakistani policemen and two civilians dead. Read the rest of this entry ? 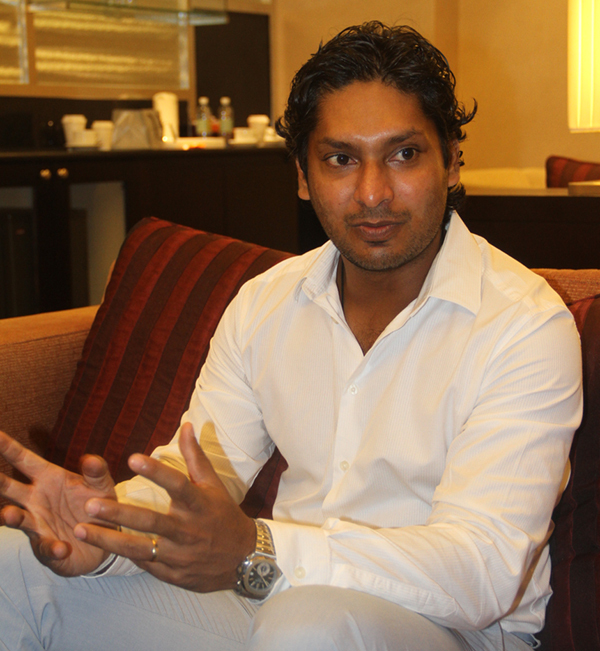 Kumar Sangakkara is a man of many talents, having mesmerized the world with his bat- he has proven to be one OF the greatest ambassadors of the country. Having been Sri Lanka’s most consistent batsman and recognised as the best in the world repetitively by the ICC, Kumar is not a man to mince his words. He is known to call a spade a spade, and today the international cricketing icon and an international citizen of the country in the true sense of the word Kumar- is embroiled in controversy with the powers that be at the Sri lanka Cricket. ‘Sanga’ as he is fondly known, spoke to the Daily Mirror on aspects both related to and beyond cricket. Read the rest of this entry ? You are currently browsing the Critiquing Cricket blog archives for September, 2013.